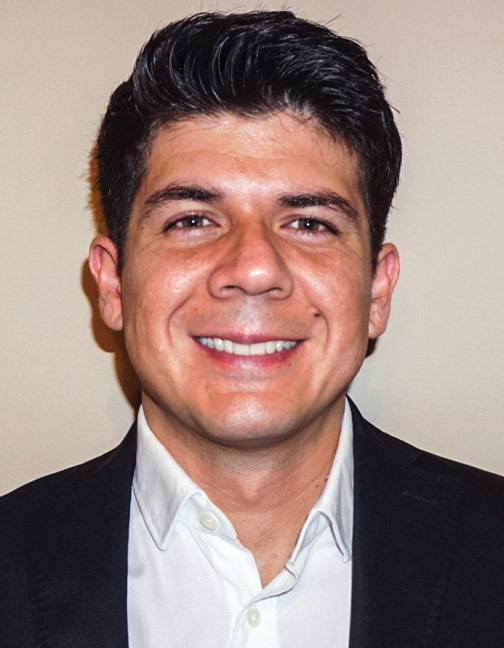 Hiring Luis Leon as a Process Engineer less than a decade ago has provided the Kimberly Clark Corporation with tremendous return on investment. The millions of dollars he’s saved the company by improving the efficiency of manufacturing processes for tissues and paper towels at their mills in Bajio, Mexico and Jenks, Oklahoma far exceed the salary he’s received. In recognition of this and other feats, Kimberly Clark has designated Mr. Leon a Subject Matter Expert in machine setup for embossing processes. Born in Hawaiian Gardens, California, the smallest city in Los Angeles county, Mr. Leon moved back to his parents’ native Mexico when he was seven-years-old. He’s called both countries home ever since. He recalls living next to engineers who worked for PEMEX, the Mexican state petroleum company, sparking an interest in chemical engineering at an early age. That spark ignited a fired that led him to the University of Guanajuato. While pursuing his B.S. in Chemical Engineering, Mr. Leon had the opportunity to intern as a Quality Control Engineer at a top consumer goods corporation where he learned why chemistry is so important in the manufacturing industry. After learning the ins and outs of regulations, quality standards, and branding strategies, he created the centerlines for their hair dye process, helping make a superior product for the market. While visiting a brother in San Diego after graduation, he discovered that the University of Guanajuato had recommended him to Kimberly Clark de Mexico for a position at their mill in San Juan del Rio, Queretaro, which manufactures recycled paper pulp, paper towels, bath paper and napkins. Mr. Leon was given the opportunity to be the Process Engineer for multiple bath, napkin and towel lines plus off-line printer machines. His talent for creating cost efficient processes with few resources soon resulted in significant positive improvements at the mill, making Kimberly Clark San Juan del Rio the best mill in Mexico. Soon, he was declared a Subject Matter Expert and was asked to travel from mill to mill training process engineers. His successes in Mexico led to a move to the company’s mill in Jenks, Oklahoma, where Mr. Leon worked on a major safety initiative as well a driving large machine efficiency projects for the company’s lucrative paper towel and toilette paper product lines. These included the development of a speed standard, a parent roll change improvement, operating system diagnostics and an annual plan to identify issues and countermeasures to solve them. Mr. Leon now supports all the portfolio projects to improve Kimberly Clark products and ensure they are successful, while also reducing the start-up curve impact on the lines by reducing waste, delay, and speed loss. He created a cross functional group between converting-Tissue Machine Operators and Engineers that helped to improve the sheet caliper that impacted the performance of the paper in their converting machines. As an active member of his community, Mr. Leon has been a key member and supporter of the KC Jenks mill United Way team which exceeded its $300,000 contribution goal last year. He also spends time as a math tutor for high school students, and he’s participated in KC sponsored Engineering Week science demonstrations at local elementary schools, teaching hundreds of children how the paper making process works.